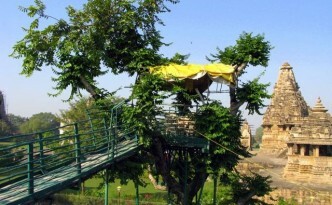 A cafe near the Khajuraho temples has arranged a lovely treehouse, with a view into the World Heritage complex. 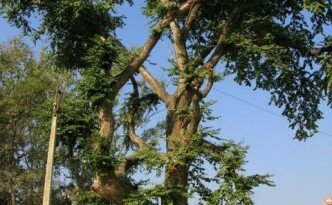 In the centre of new Khajuraho town, this tree is a major parrot roosting site. 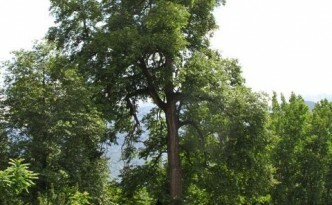 Each evening the area is engulfed by thousands of parrots coming in to spend the night. 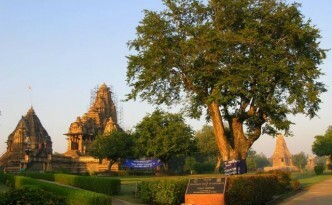 A lovely Holoptelea tree greets visitors to the World Heritage Western temple complex at Khajuraho.